At Clean Master Adelaide we will mend all your damages carpets in Adelaide at affordable carpet repair price. We will additionally give you services including Carpet Repair Adelaide, Carpet Hole Repair, Carpet Patching, Carpet Pet Damage Repair, Carpet Iron Burn Repair, Same Day Carpet Repair and more. At Clean Master Adelaide we provide our all clients with the best quality of service. We deal with all kind of carpets such as stained carpets, smoked carpets, carpets that got ripped apart, ripped and ink-stained and others. We will fix it for you at a very economical price. We possess expertise of more than 20 years. You can call us on 0414 354 432 and we will repair it for you in a really deficient time. Welcome to Clean Master Adelaide is a place where you will get various marvellous services whether you need Mattress Cleaning, Curtain Cleaning Upholstery Cleaning, Tile and Grout Cleaning, Carpet Cleaning, and so much more. We have been rendering these amazing services in Adelaide for many years. Hence, all our workers have become expert and proficient in this profession. We accept incalculable bookings every day from people all across Adelaide. Our professionals utilise reliable and eco-friendly appliances and techniques to give you excellent services. You can trust on us we never mislead our clients and provide them with total gratification and best results at a price which everyone can comfortably afford. So what are you waiting for? Call us right now on the number provided 0414 530 372 or you can reach us online too. Same day booking services are possible as well. We are available on weekends too. 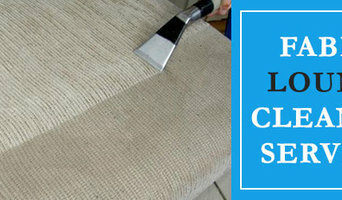 Hire the professionals of Spotless Carpet Steam Cleaning where you will get best of carpet cleaning services in Adelaide. We provide an extensive range of carpet cleaning services in all domains of Adelaide. We implement services such as Carpet Stain Removal, Carpet Cleaning Adelaide, Steam Carpet Cleaning Services, Emergency Carpet Cleaning, Dry Carpet Cleaning and more. Our skilled workers are able to provide the best carpet cleaning services at your house. We have been implementing carpet cleaning services for years at an affordable price. We also deliver same day booking services. So, call us +61 414 530 372 momentarily we are available for you on weekends as well. Suffering from nasty stains? Want professional carpet cleaning services at your place? 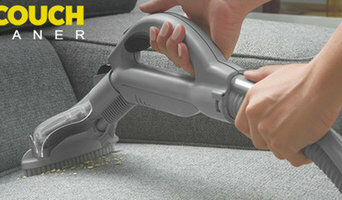 Choose no.1 company in Adelaide - Carpet Cleaning Melbourne!!!! We are a recognized company and try to give complete satisfaction with our work. We have the best carpet cleaners who are expertized in Carpet Cleaning Adelaide, Carpet Stain Removal, Best Carpet Cleaning, Steam Carpet Cleaning Services, Emergency Carpet Cleaning, Dry Carpet Cleaning and many more. We own two decades of experience in our field. We use chemicals which are safe for your family and your pets. So, give a prompt call on our number +61 414 530 372 to get free quotes on our professional services. 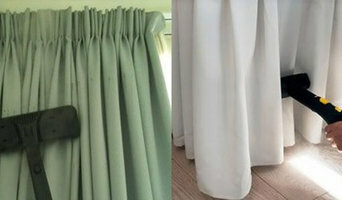 Deluxe Mattress Cleaning is one of the greatest company in Adelaide. Our professional service providers are able to give exceptional Mattress cleaning services to all across Adelaide. We have the latest techniques to give cleaning services in Adelaide. We offer Mattress Cleaning Adelaide, Mattress Cleaning Services, Mattress Steam Cleaning Adelaide, and mattress cleaning services in Adelaide. Deluxe Mattress Cleaning Adelaide can also remove bacterial, stains, Dust Mite from your bed or mattress. We use eco-friendly and harmless chemicals while giving our cleaning services. If you are also interested to get cleaning services then, hire our experienced professionals to get mattress cleaned with professional skills. Call us at +61 414 530 372. Residential cleaners in Prospect, South Australia can provide routine cleaning, deep cleaning and end of lease cleaning. A routine service typically includes general tidying up, wiping down surfaces, dusting, sweeping, mopping, vacuuming, window cleaning and toilet cleaning. Microwave and oven cleaning, laundry and the cleaning of outdoor areas are usually additional extras. You may not have the time in between packing up and moving house, but a housekeeping professional can also provide end of lease cleaning, which typically includes everything from carpet cleaning to oven cleaning. 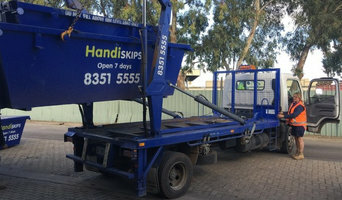 Find companies in Prospect, South Australia that provide skip bin hire, cleaning or rubbish removal services on Houzz. Scroll through this page to find a domestic cleaner, rubbish removalist or furniture removalist in your area. Just enter your suburb at the top of this page to narrow your search. Get contact information or message professionals directly so you can ask about rates, and read customer reviews.